Healthcare technology has come a long way, from maintaining heavy log books to the era of digital repositories, where huge amounts of patient and medical data are stored and retrieved every day. The subsequent advent of Health Information Exchange (HIE), has mobilized the presence of healthcare information electronically across organizations within a specific system. The Global HIE market is expected to grow at a Compounded Annual Growth Rate (CAGR) of around 9.6 percent from 2015 to 2021. This indicates that by the end of this decade, more than half of healthcare-delivery organizations will have incorporated HIE into their operations. Moving ahead, major changes around HIE has been enumerated by the introduction of mobile platforms and easy exchange of medical information across various organizations and medical systems. However this poses a risk of information seepage from the online clinical repositories leading to the possibility of classified information falling in the wrong hands. Security, feasibility, adaptability, and sustainability are some of the major factors that will play the 'deciding' role in selecting a proper solution. While there are many HIE solutions in the market, the variety in solutions and their use cases have made choosing the right solution, a difficult task to accomplish. 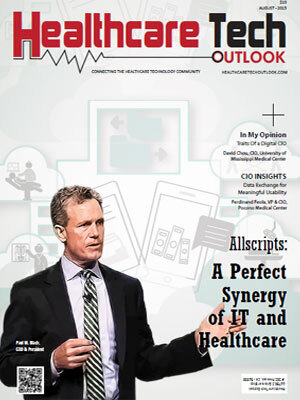 A distinguished panel comprising CEOs, CIOs, VCs, analysts, and the Healthcare Tech Outlook editorial board have selected the top HIE solution Providers. In our selection process, we looked at the vendor’s capability to fulfill the need for cost-effective and flexible solutions that add value to the HIE landscape. A health information technology services and product development company.